Since 2011, Vivo launched many Android smartphones Vivo V1, Vivo Y1 and Vivo S1 in China market. 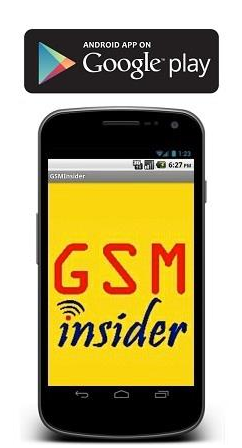 Now they are ready to launch another new smartphone - Vivo V12 with dual-core processor. 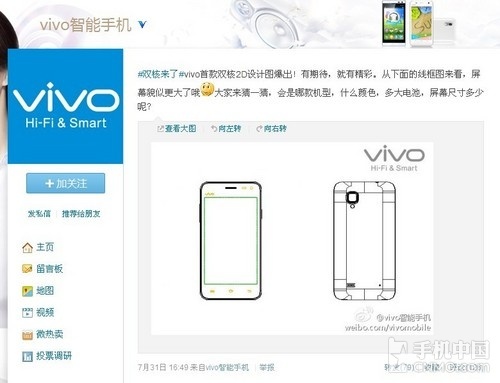 Vivo smartphone first microblogging recently released a 2D design sketches of a cell phone, and which is expressed vivo first dual-core smartphone. 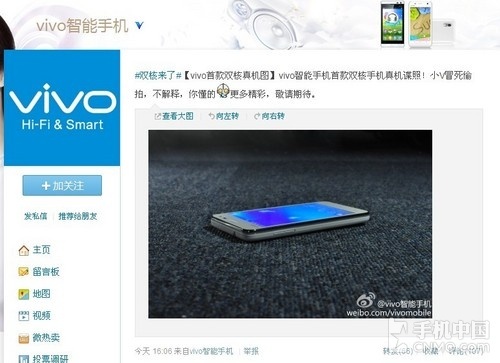 Shortly after the new machine of this vivo dual-core smart real machine diagram appeared vivo smartphone "microblogging, but there is no additional configuration information is disclosed. According to informed sources, this exposure in the microblogging new machine vivo first dual-core smartphone vivo the S12 model. 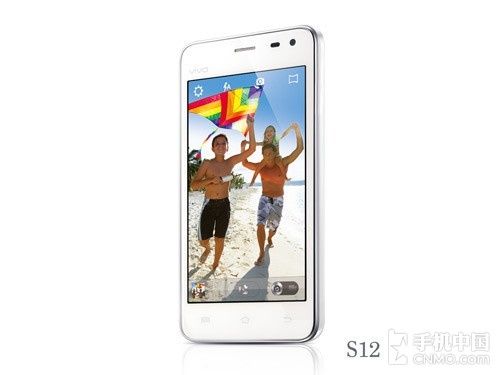 From the real machine diagram, the S12 body in vivo white, stylish slim, expected future will be mainly young and female users as the main target. 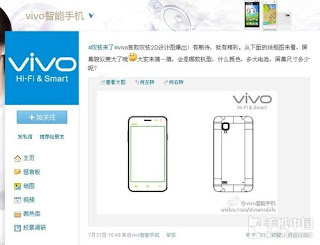 More configuration in vivo S12 yet no definite information, but informed sources, this phone will be on sale in August of this year, is expected there will be more information disclosed, we will continue to focus.